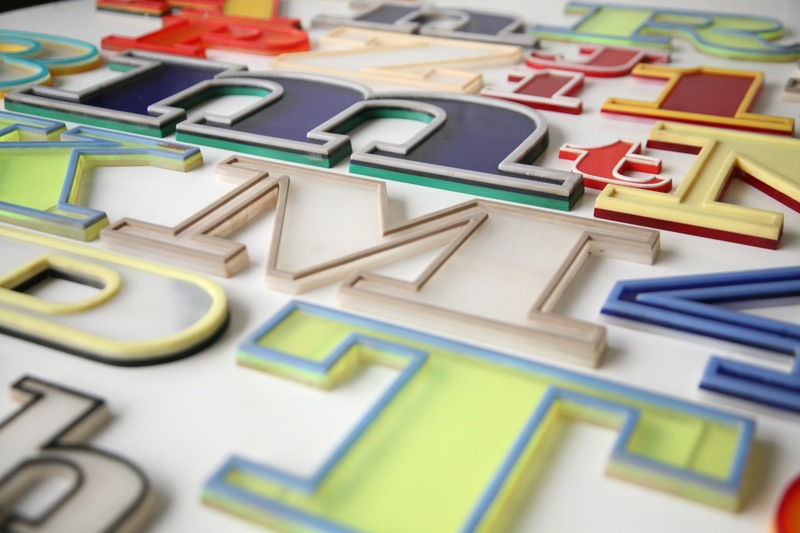 A set of rare vintage plastic shop letters. Prices vary depending on size. 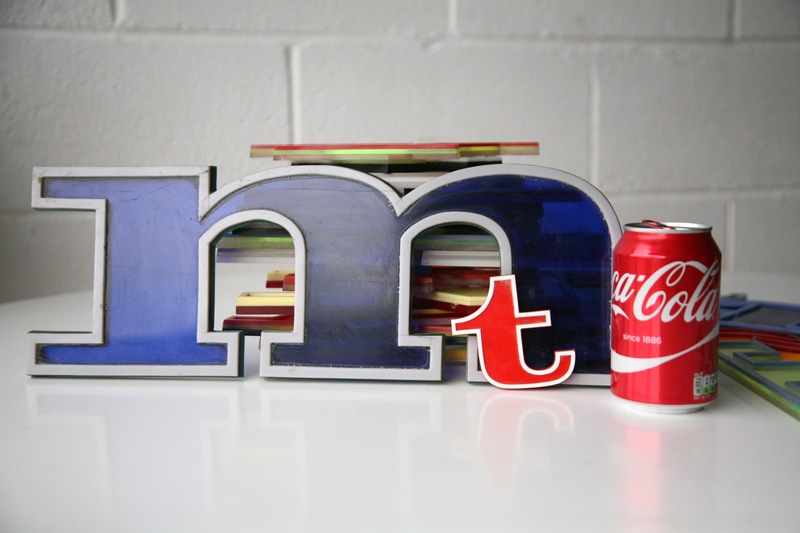 The m in the last picture is 47cm wide and £25. the t is 8cm high and is £5. 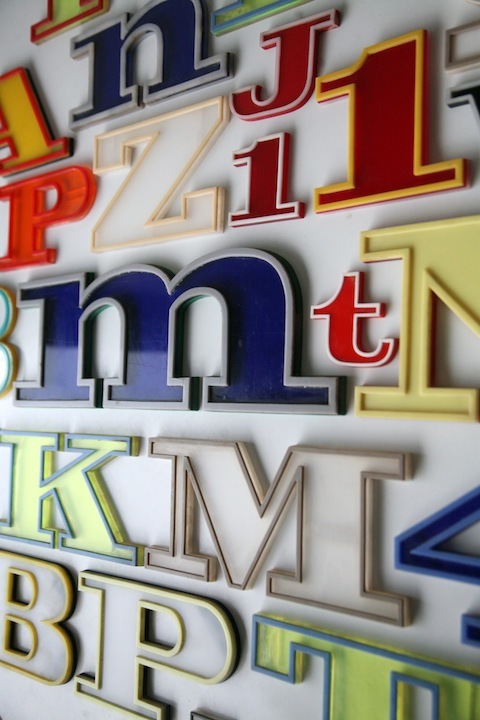 We have a large amount of these letters available. Please contact us for details. These plastic letters are in very good condition with some minor wear on the edge and some surface scratches. 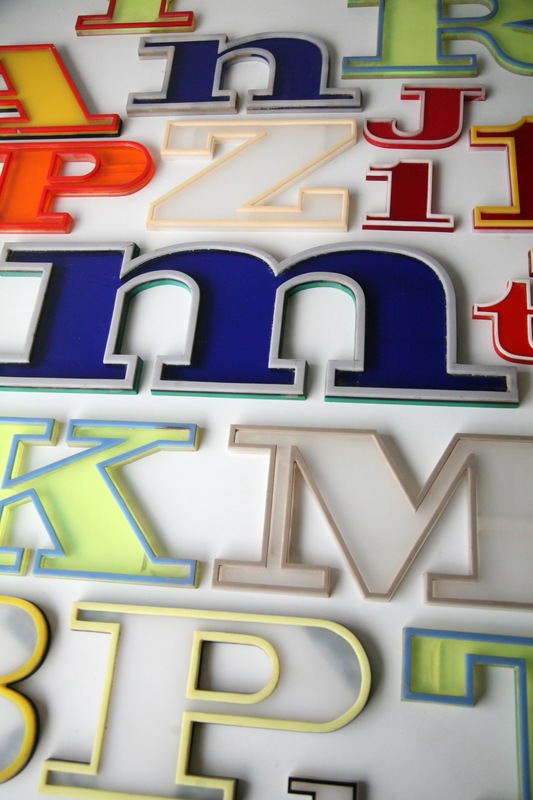 We have a huge variety of vintage letters available in a wide range of sizes, colours and materials. Please contact us for more details.